This month's technique is called Masking Tape. It's a really easy technique to use and adds such nice texture and color. This was my first time trying this technique and I love it!!! 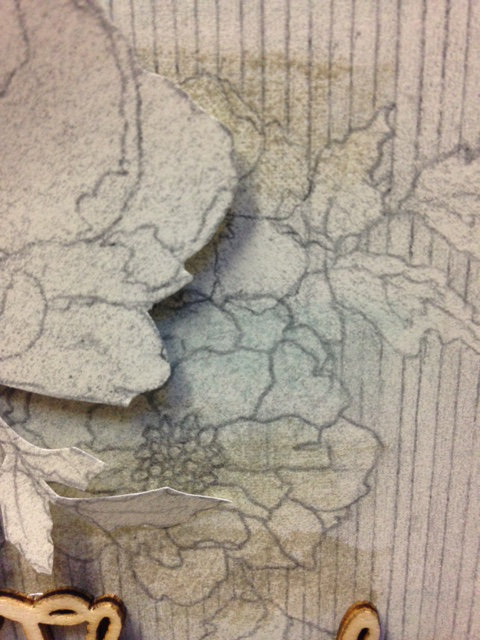 I'm featuring the Timeless Elegance Designer Series Paper -- it's my favorite! So what I did was use the Masking Tape technique on the back panel using Soft Sky and Crumb Cake. Get your masking tape and literally push the sticky side onto the ink pad (so the ink will stick to it). Then lay/push the masking tape onto your card where desired. Then peel back and whaaa-la!!! It's that simple! See my close up below. In my example it's subtle but I'm loving it. Let's continue to check out more Masking Tape masterpieces! Pretty card Heather, great use of that designer paper. Have a wonderful Christmas! 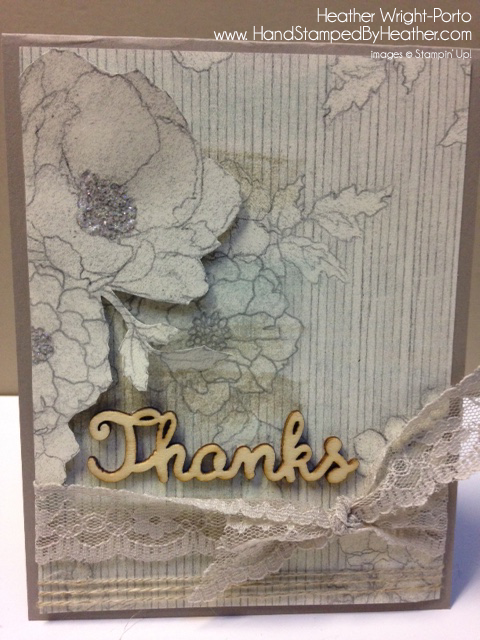 Lovely card Heather :-) love the subtle effect you created on the background.